Despite the theoretical power of exome sequencing, the realized diagnostic yield of clinical exome testing remains relatively low, ~25%. 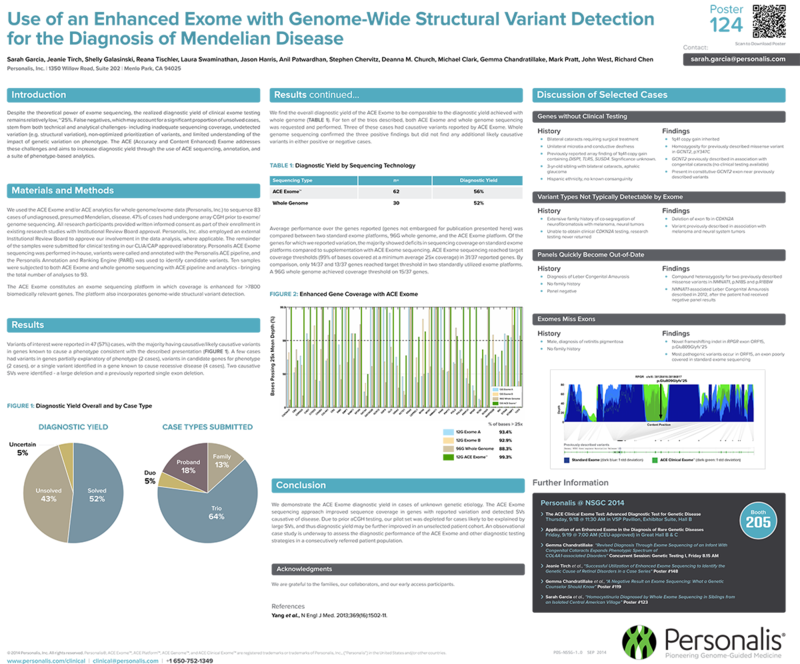 False negatives, which may account for a significant proportion of unsolved cases, stem from both technical and analytical challenges- including inadequate sequencing coverage, undetected variation (e.g. structural variation), non-optimized prioritization of variants, and limited understanding of the impact of genetic variation on phenotype. The ACE (Accuracy and Content Enhanced) Exome addresses these challenges and aims to increase diagnostic yield through the use of ACE sequencing, annotation, and a suite of phenotype-based analytics.